EGO Power+ electric leaf blowers are the most powerful cordless leaf blowers in the industry. Leave old, smelly gas powered equipment in the past. With these cutting edge, powerful, electric leaf blowers you get the same performance as any premium gas-powered blower, without the noise and fumes. With the revolutionary 56V Power+ system, any EGO 56 volt Power+ battery or charger is compatible with every EGO battery powered leaf blower. Already have a battery or two and a charger? Save on new ego battery powered leaf blowers by purchasing a tool only model. These models only include the electric blower. Perfect for those who are adding a new tool or two to their EGO collection. 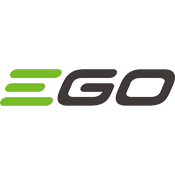 New to the EGO line? No worries! We have great deals on new kits that include a battery and a charger with your new electric blower.